Short but great report about our last KRAVolution training with Jean Paul Jauffret in French Guiana – the S.W.A.T. 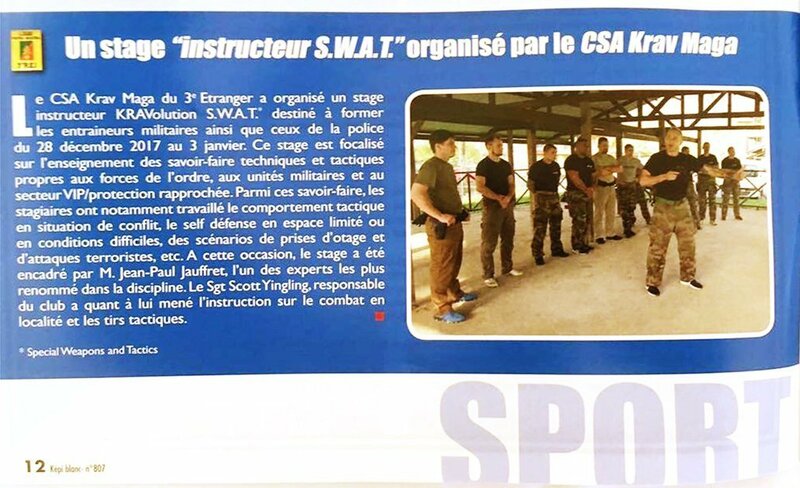 Instructor Course – in the magazine of the French Foreign Legion the “Kepi Blanc”. The Krav Maga CSA (Sports and Arts Club) of the 3rd Foreign Infantry Regiment organized a KRAVolution S.W.A.T Instructor Course, in order to train military as well as police instructors, from December 28, 2017 to January 3, 2018. This training focalized on teaching the know-how techniques and correct tactics to police , military units, and to the VIP / Close Protection professionals. Among these skills, the trainees notably worked on their tactical actions in conflict situations, self defense in close quarters or difficult conditions, scenarios of hostage-taking and terrorist attacks. During this occasion, the training was taught by M. Jean-Paul Jauffret, one of the most well-known experts in the discipline. Sergeant Scott Yingling, head of the CSA Krav Maga, lead the instruction of urban combat and tactical shooting. 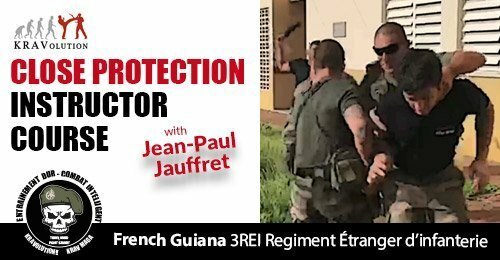 ▸ Close Protection Instructor Course in French Guiana will take place from May 18th -28th, 2018!